Halima is a recent graduate of the School of Oriental and African Studies (SOAS) where she obtained a Master’s in African Studies specializing in Politics. She is also a proud alumna of Montgomery College and Mount Holyoke College – two schools she credits much of her academic success too. She is fluent in Somali, Hindi and Urdu. 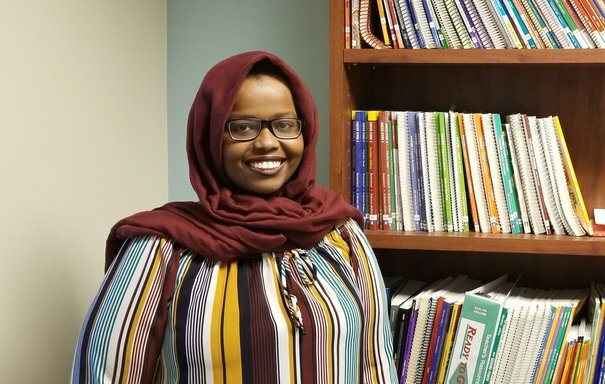 As someone who has learned the English language formally at the age of 19, Halima recognizes the immense power in speaking one of the predominant languages of her adopted home and the world. She hopes to contribute to the betterment of Maryland in general and Montgomery County in particular as this place is home to her.